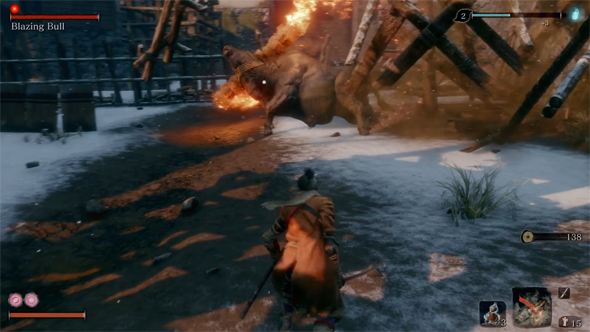 However, it is essential that you understand that the Blazing Bull does have posture (just like every other enemy and boss), and he can be parried! It might not seem intuitive at first, since this boss is a giant beast, rather than a person with a sword, but he can be parried. The Blazing Bull can be parried. However, even knowing that, I had a lot of trouble parrying him. He's very fast and very aggressive, and I had trouble getting the timing down. After several failed attempts, I resorted to a back-up plan. That back-up plan is what I want to share with you. Before I do so, I do want to point out that you should definitely try to parry this boss. 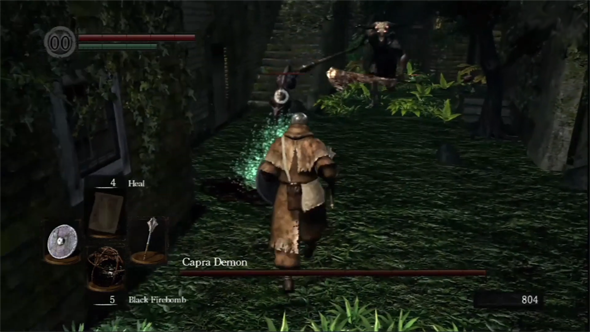 Parrying is the basis of the entire game's combat, and learning how to parry is essential to progressing this game. 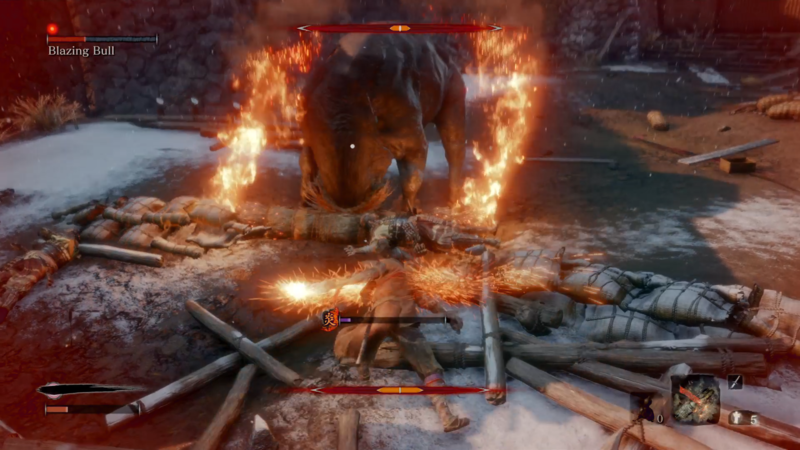 Learning how to successfully and consistently parry such a fast-moving and aggressive beast now will certainly make the progressing the game much easier for you later! Blazing Bull plan B: RUN! That being said, if you still can't get the parry timing down well enough to beat the boss, but you really want to get past this boss so that you can move forward with the game, then there is a fall-back option. The bull is very fast and aggressive, but he is not very nimble. He can't turn worth beans, and will routinely stumble (leaving himself open to an attack or two) if he tries to cut a sharp corner or U-turn. 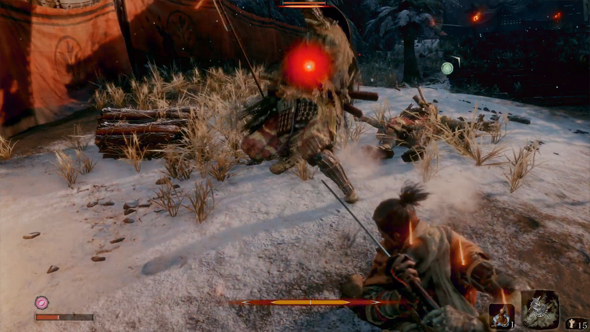 As such, you can sort-of-cheese him by simply holding down the Circle button (PS4) and sprinting around the bull the entire fight. 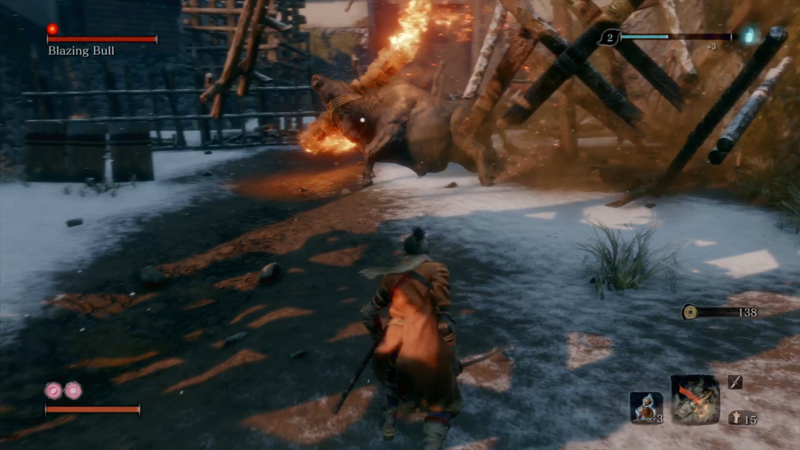 Keep sprinting around the bull's side and his back, and you should be able to avoid taking hits. I haven't seen any kind of kick attack from the bull, so (as far as I can tell) you are safe standing behind him (unlike Gyoubu Oniwa's horse, which will kick you if you hang out behind it). If anyone finds that the bull can, in fact, kick, please let me know in the comments! If you can't get the parry timing down, the Blazing Bull can be defeated by running circles around it. 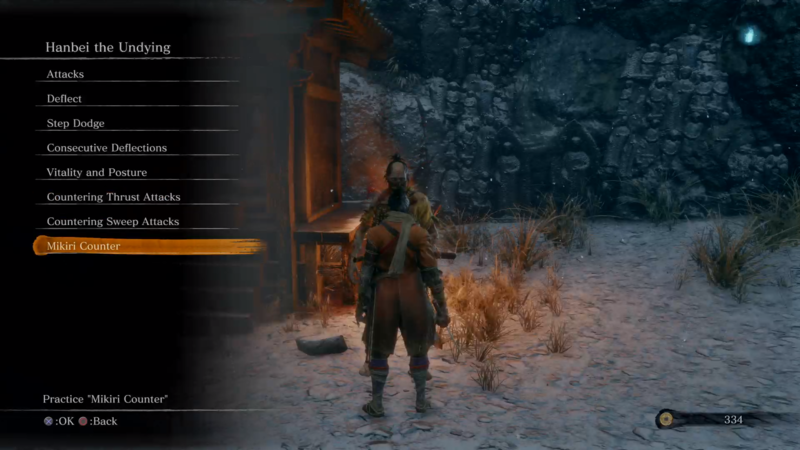 Sekiro does not have any stamina system (like in Demon's Souls, Dark Souls, or Bloodborne), so you can just sprint around indefinitely. 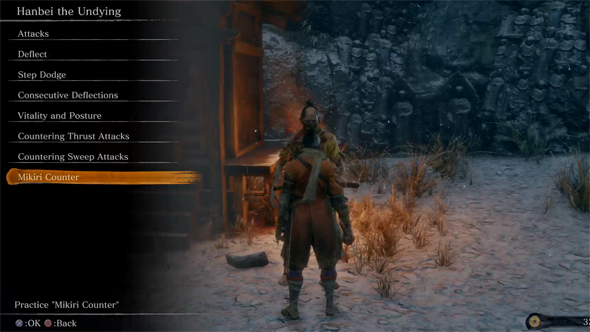 If you acquired the Flame Vent Prosthetic from Hirata Estate, or the Shinobi Firecracker from the merchant, then those tools will also make this fight much easier. If the bull every catches you in a poor position and is charging right at you, spray it with a Firecracker or Flame Vent to stun it. Then take a slash or two at it, and continue running off to its side or rear. The Firecracker Prosthetic will also temporarily stun the bull. This strategy should allow you widdle down the bull's health and hopefully defeat it. 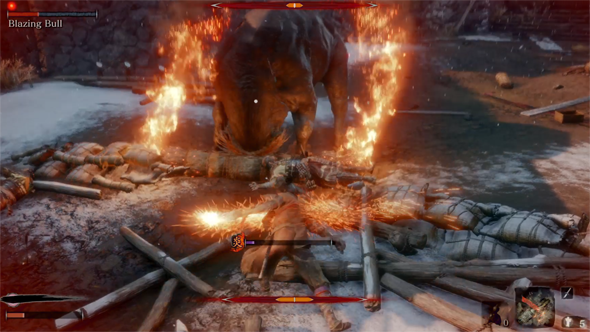 Regardless of how you decide to defeat the Blazing Bull, it's important for you to practice parrying and other combat techniques. 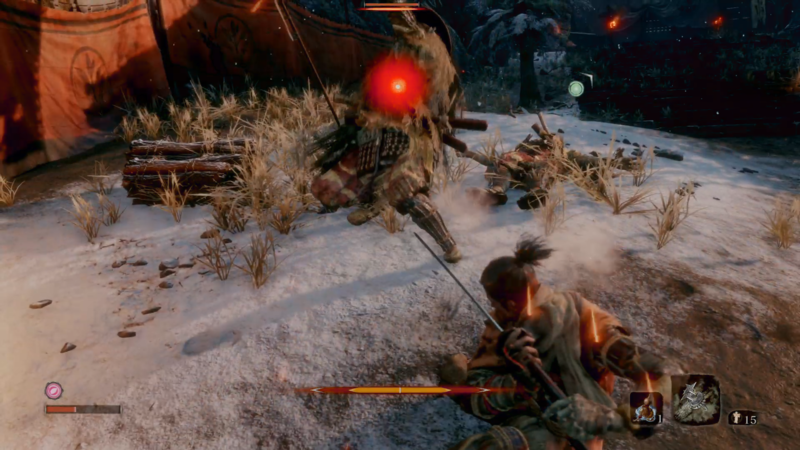 Fortunately, one of the few bones that Sekiro throws to you is an opportunity to practice combat techniques in a live -- but consequence-free -- environment. Off to the right, after exiting the Dilapitated Temple, there is a small alcove in the mountains in which a small offering box sits. Next to this offering box is an undead soldier who offers himself as a sort of "test dummy" for you to spar against. You can spar freely, or you can select any of the techniques that you've currently unlocked and practice in a tutorial setting. Your undead sparring partner will perform an appropriate action that will allow you to learn and practice the selected technique or skill. You can practice fighting and techniques against a willing undead sparring partner. The ability to practice combat techniques (and weapons) freely against a sparring partner is something that I've been asking for since Dark Souls II, and I'm glad that FROM finally incorporated it into a game. Obviously, this sparring partner won't allow you to practice against other enemies' attacks. You can't practice against a boss or mini-boss' moveset, but you can practice general moves. I'm going to keep practicing and learning, and hopefully become competent enough at the game to progress. If I come across any other tips, tricks, or observations that I feel worth sharing, I'll definitely post them. 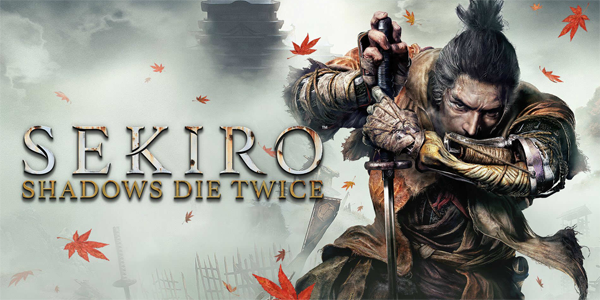 And stay tuned for a full review of the game in the coming weeks or months. In the meantime, I hope this was helpful.